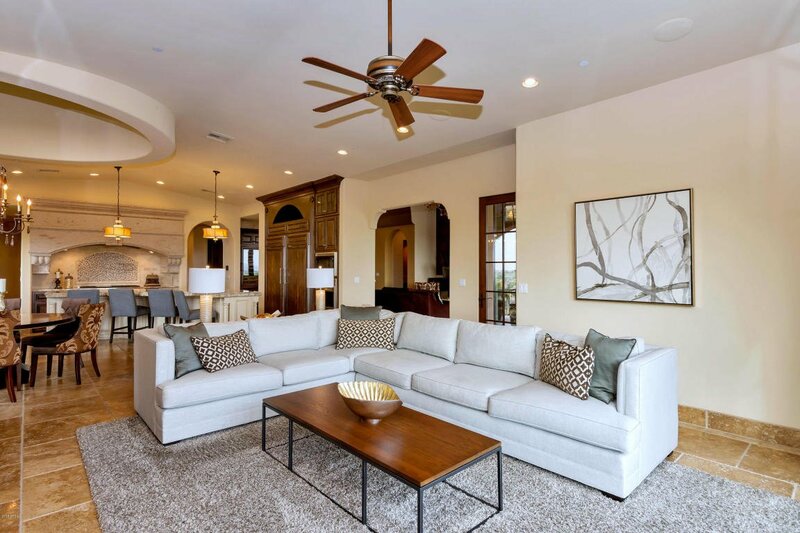 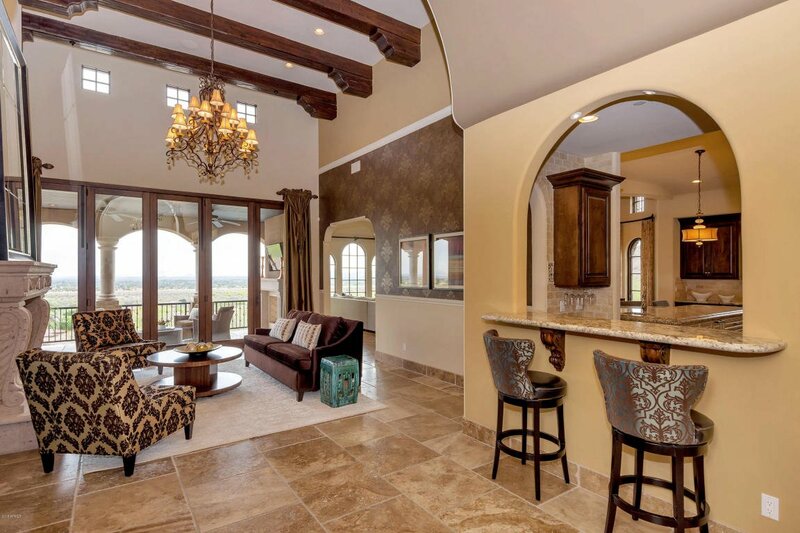 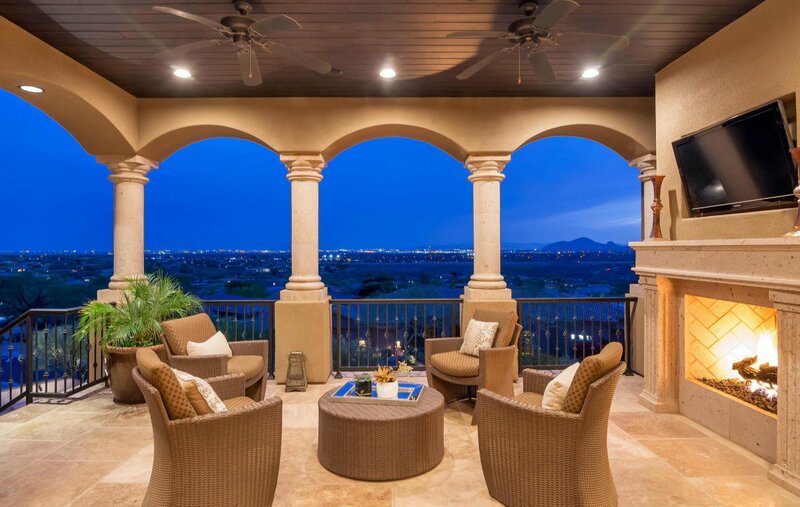 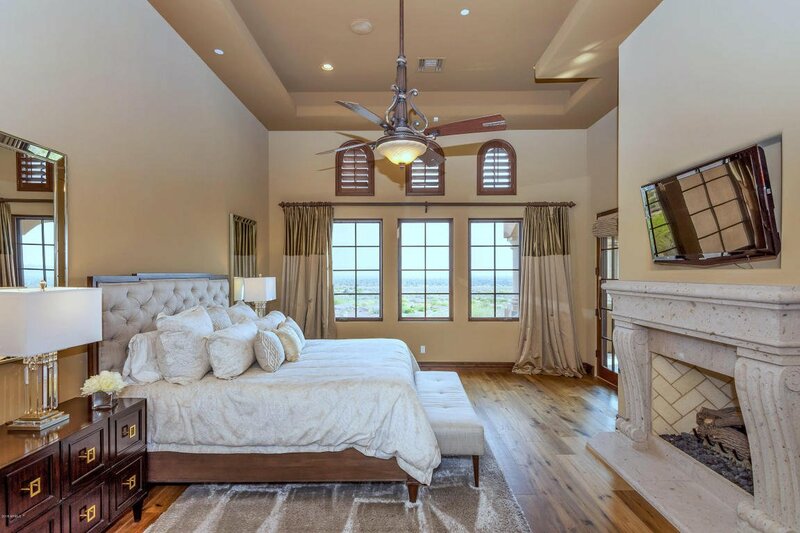 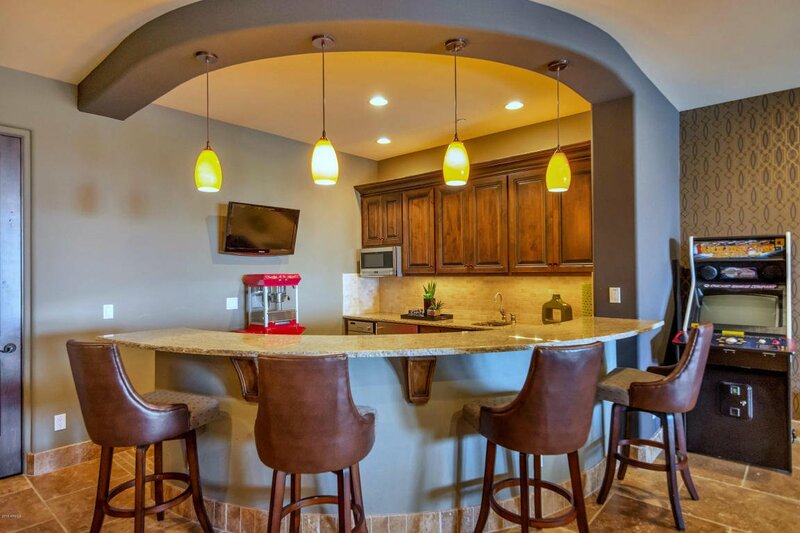 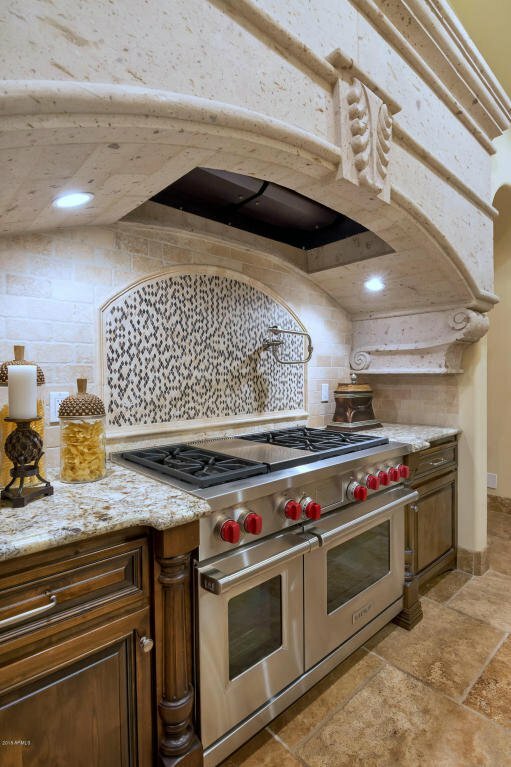 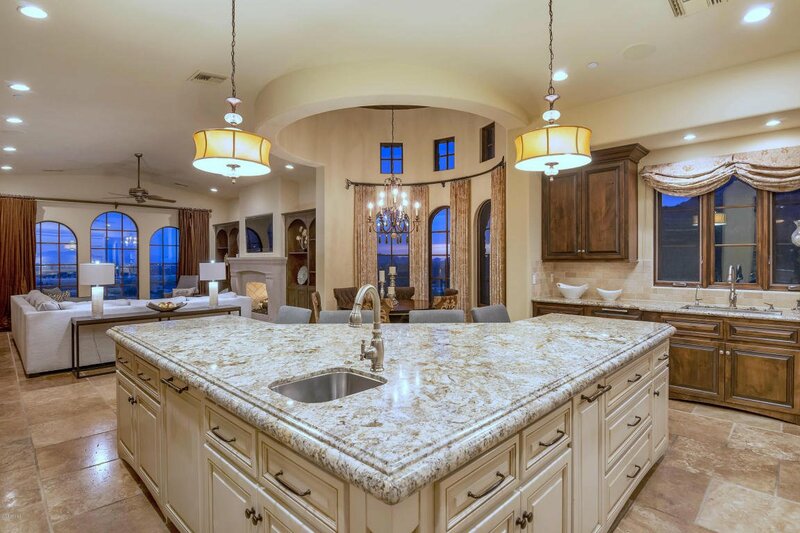 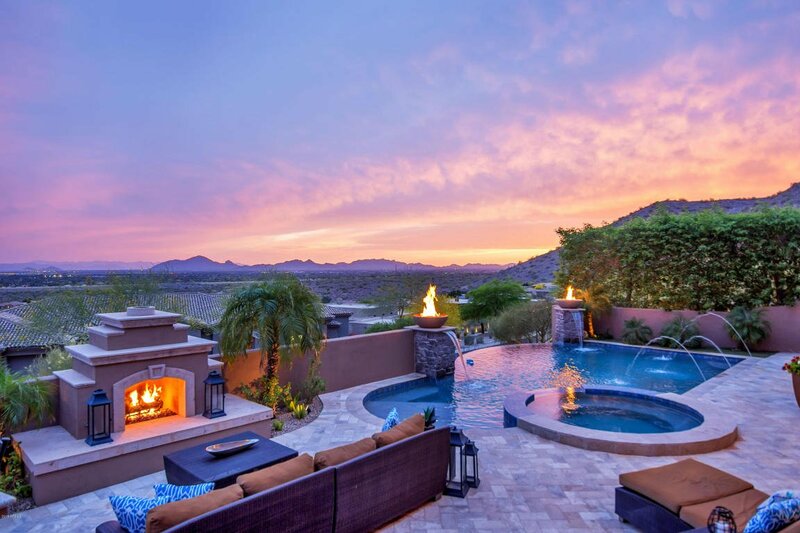 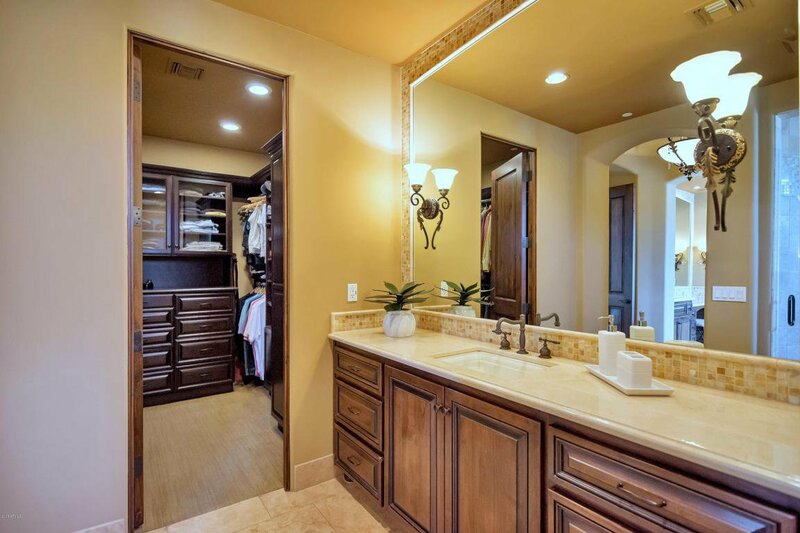 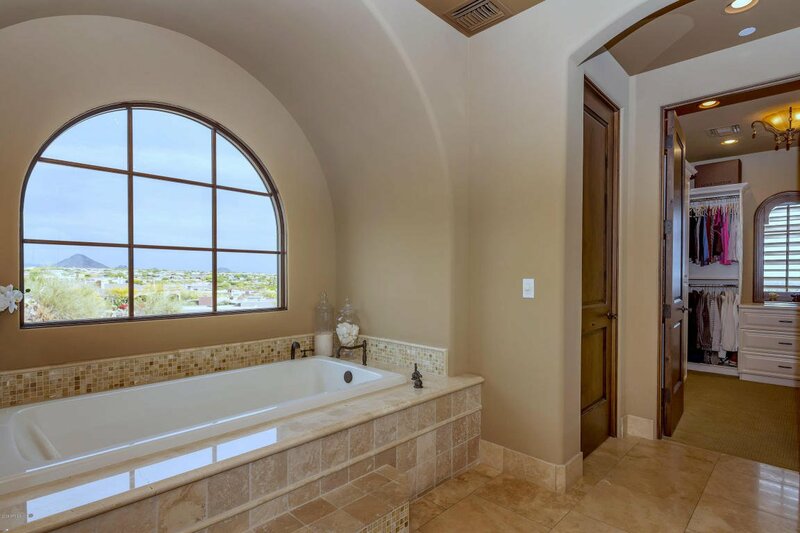 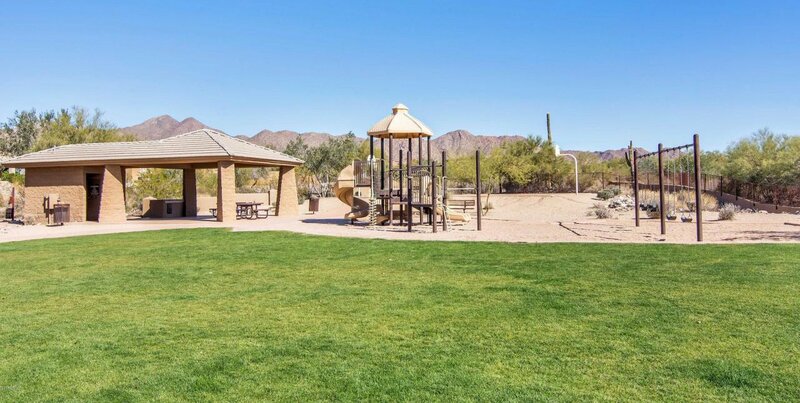 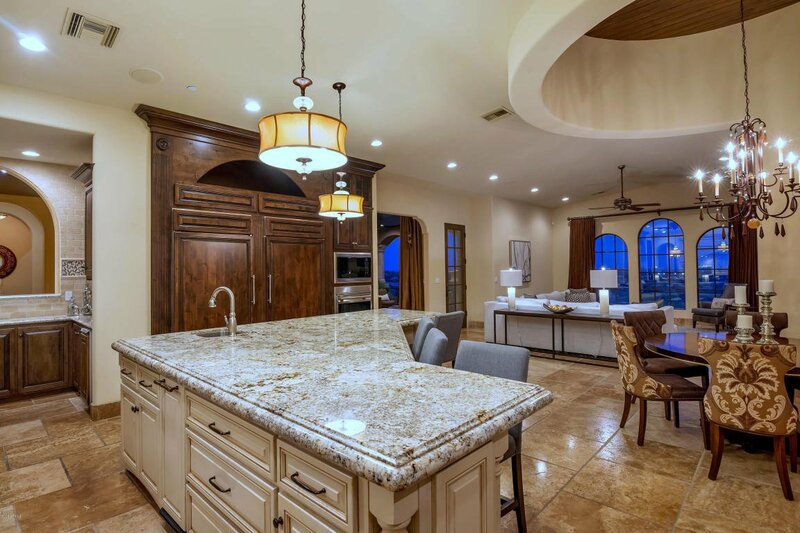 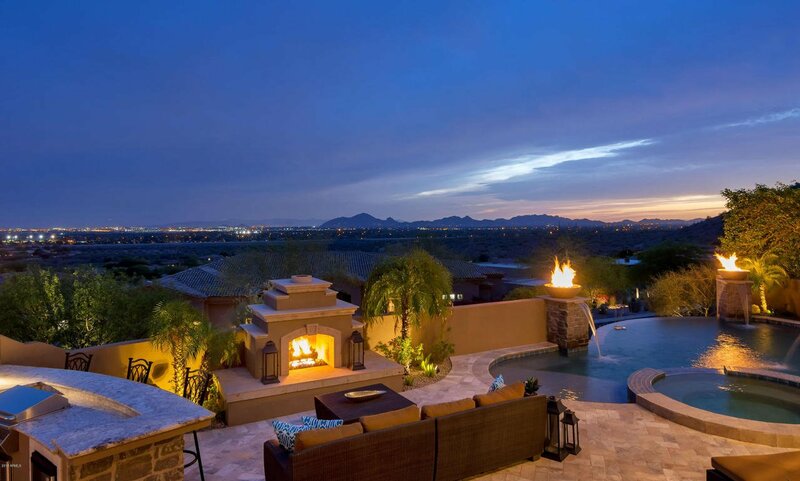 This custom estate sits on one of the highest lots in Ancala and is nestled into McDowell Mountain. 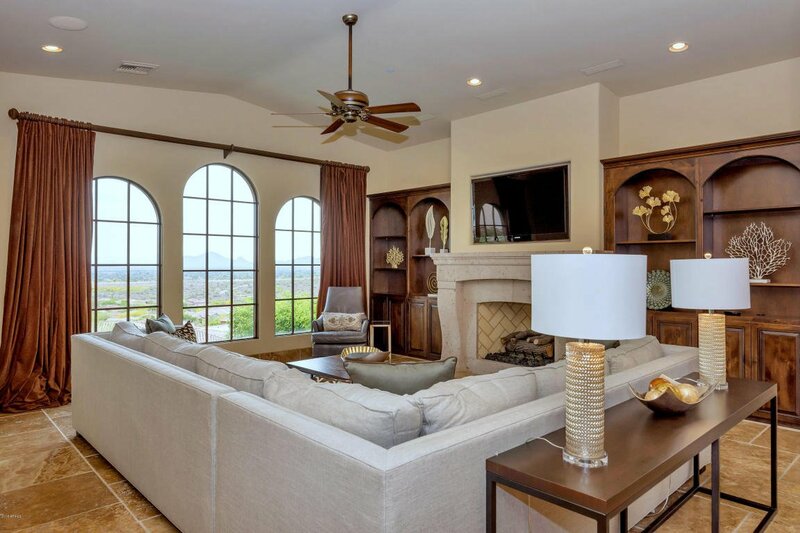 The well-designed floor plan was strategic in capturing endless mountain & city light views from numerous vantage points throughout the home. 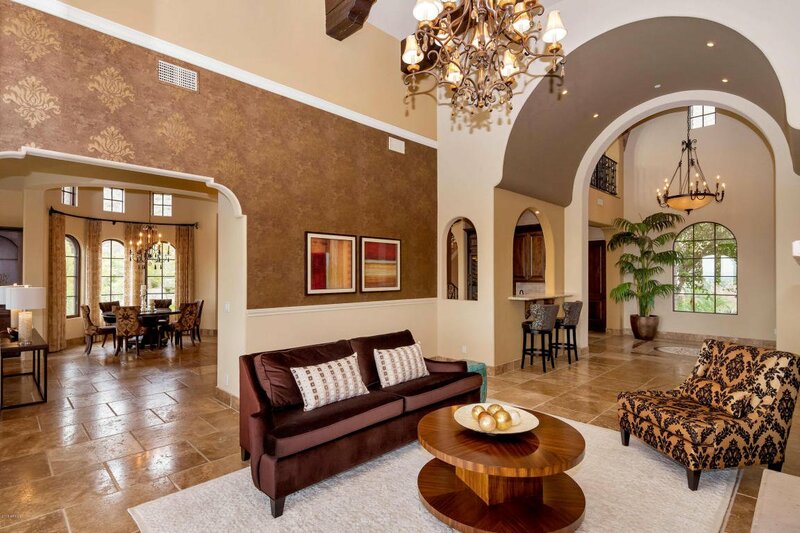 The entrance is graced with a custom designed iron & glass door that sweeps you into the fabulous foyer and living area. 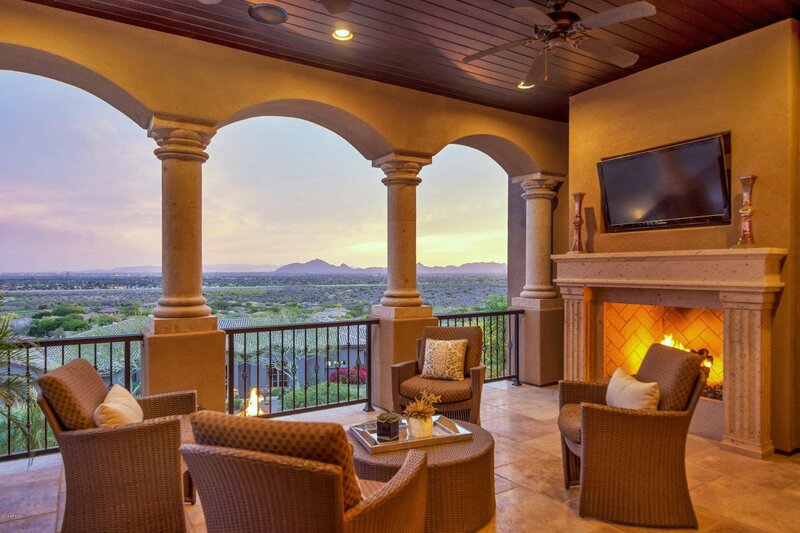 Your eyes are immediately drawn to the floor-to-ceiling disappearing glass doors that open to covered patio and miles of views. 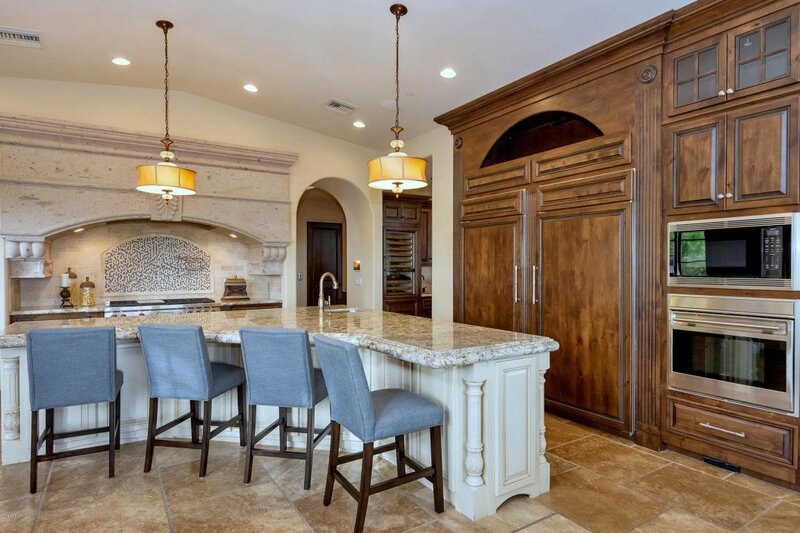 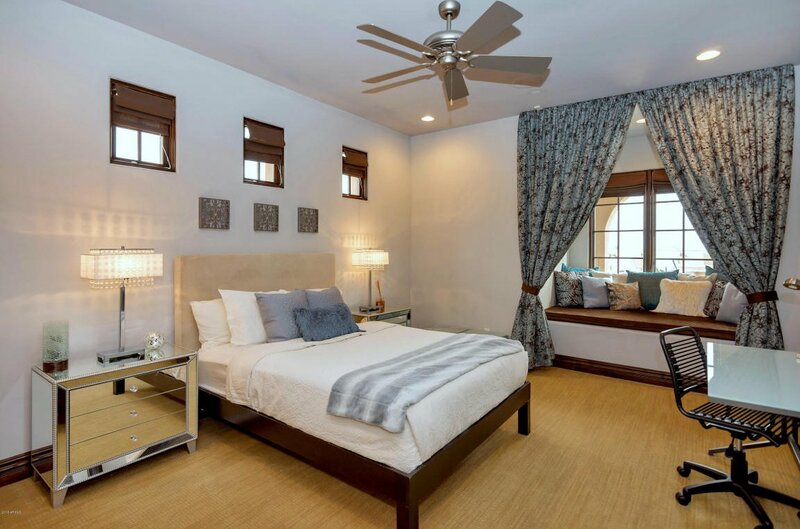 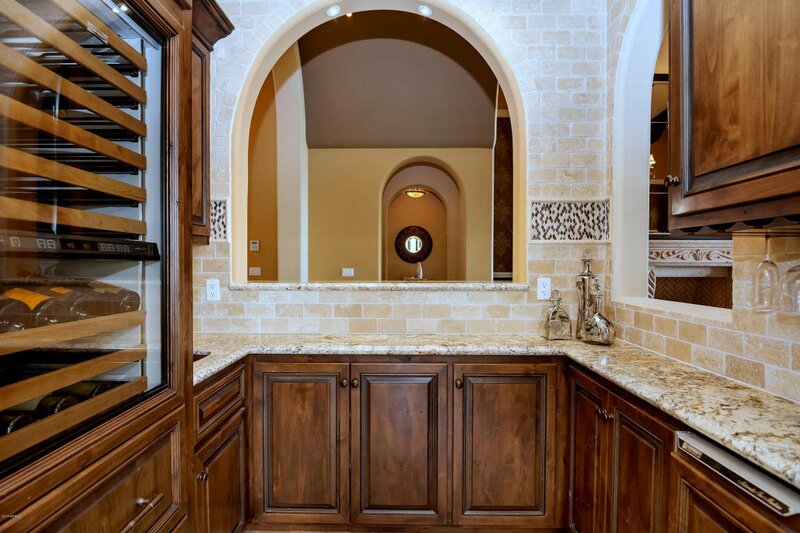 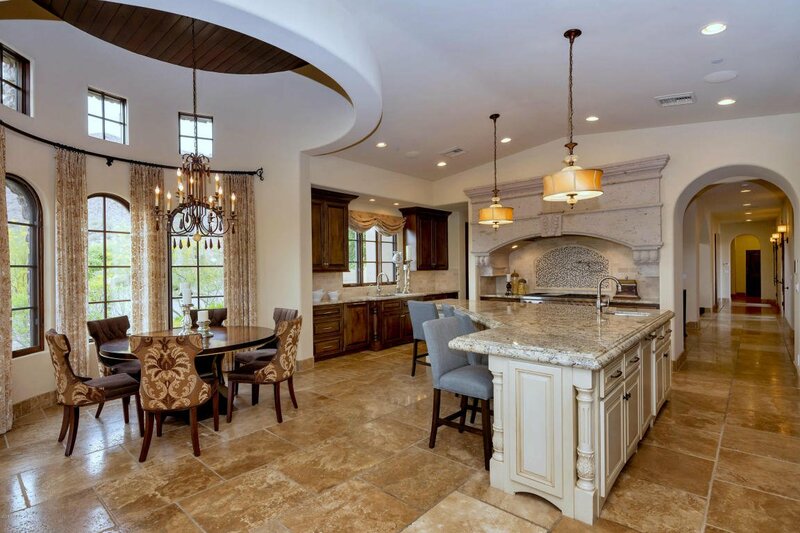 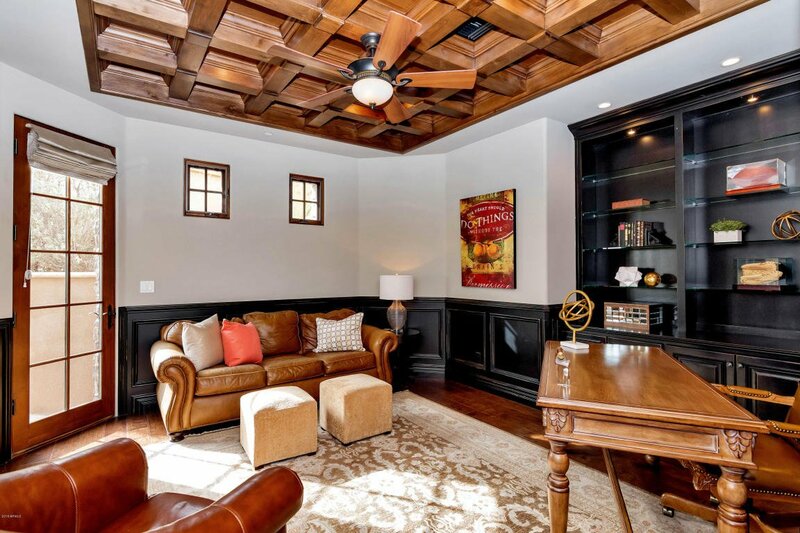 The phenomenal architecture and master craftsmanship includes; brick barrel ceilings, hand crafted mill work, superior use of stone, wood and cantera. 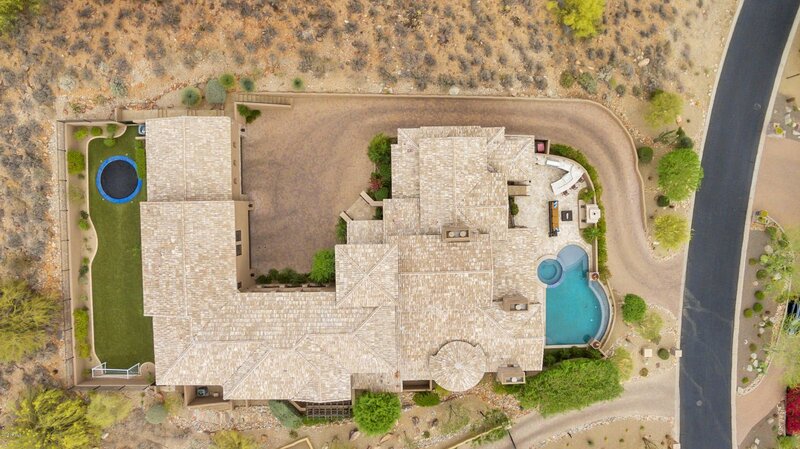 Situated on 1.13 acres, this 8,782 sq. 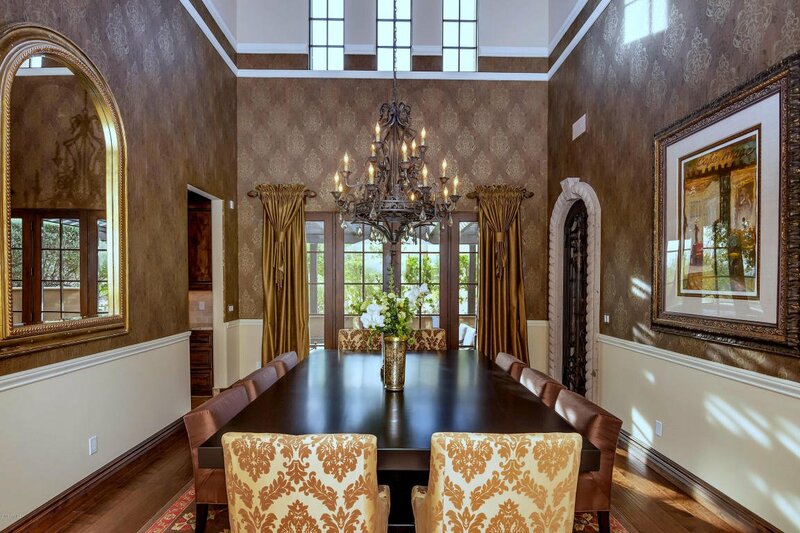 ft. estate has 6-bedroom all with on-suites, a gourmet kitchen designed for the ultimate entertaining, a great room, a 900-bottle wine room, a formal dining room, a bar, a study, a theatre room, a game room, an exercise room, a teen/play room and elevator to all three floors. 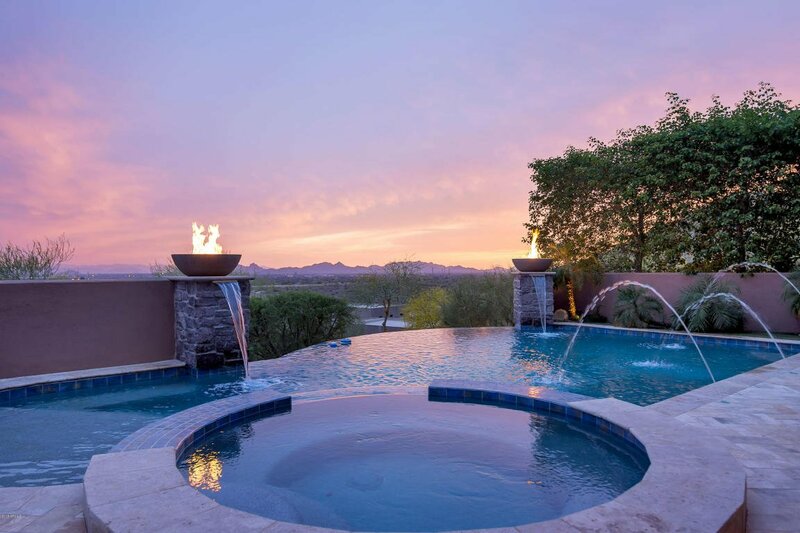 The resort style outdoor terrace includes, a negative edge pool, spa, outdoor kitchen, outdoor living and fireplace are positioned to capture the incredible city lights and views that set the stage for grand entertaining or intimate gatherings. 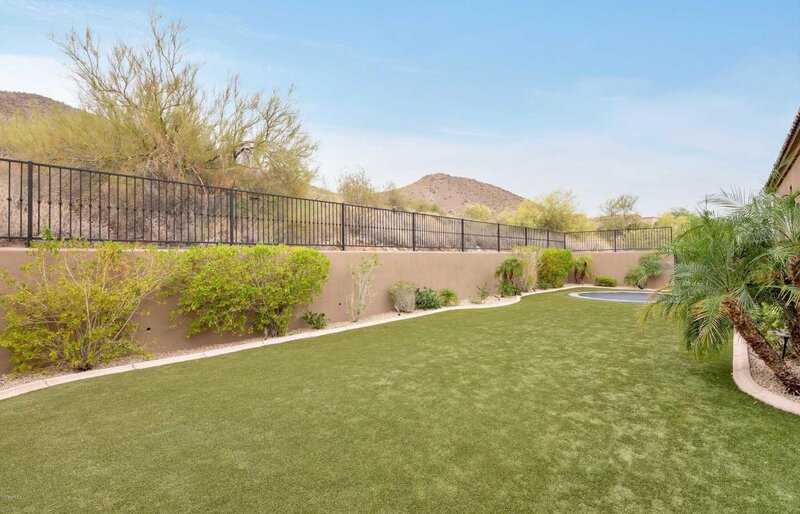 The back yard has a large grass area and built in trampoline. 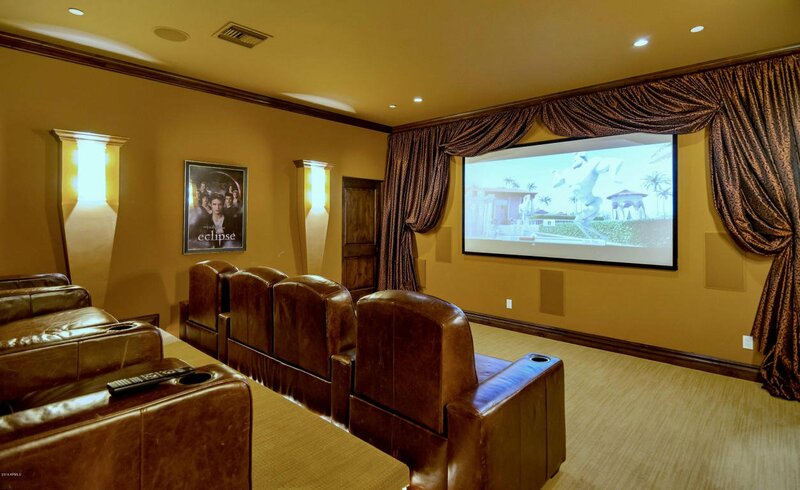 The home is equipped with a Control4 Home automation system for lighting, heating/cooling, TV, music and security system. 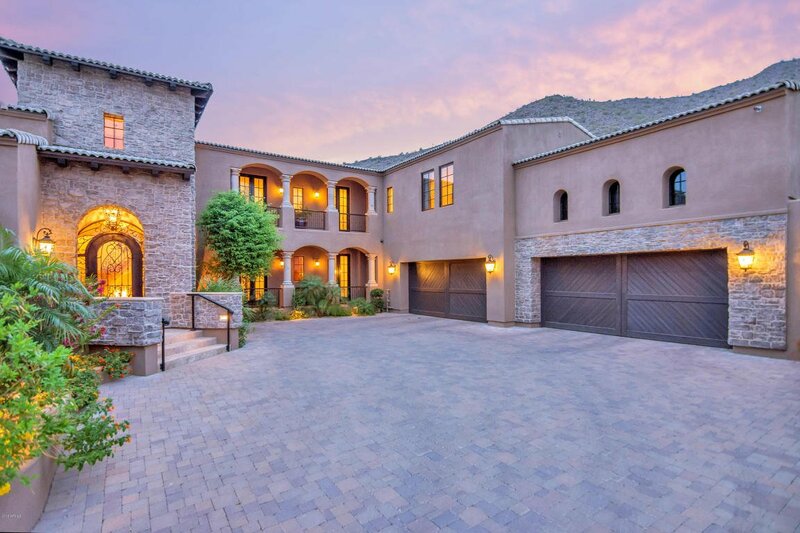 A private motor court and expansive four-car garage completes the package and provides plenty of room for vehicles and storage. 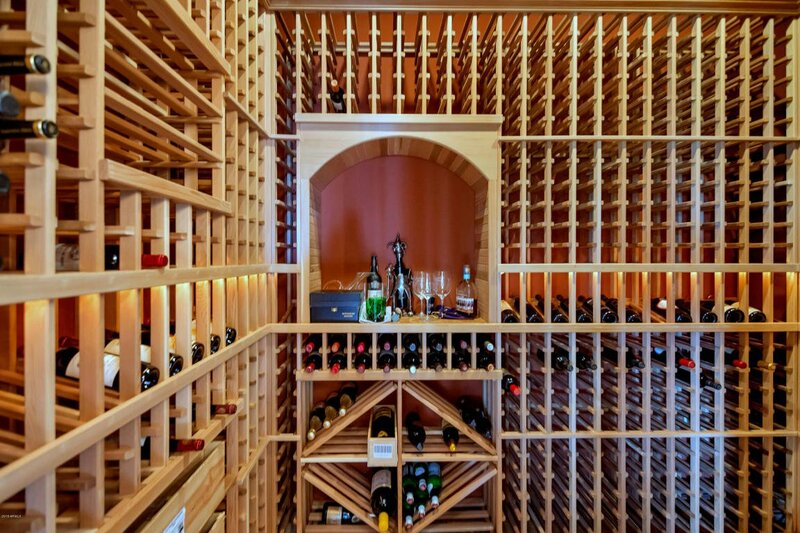 One bay is 16ft high and can support a stacking car system. 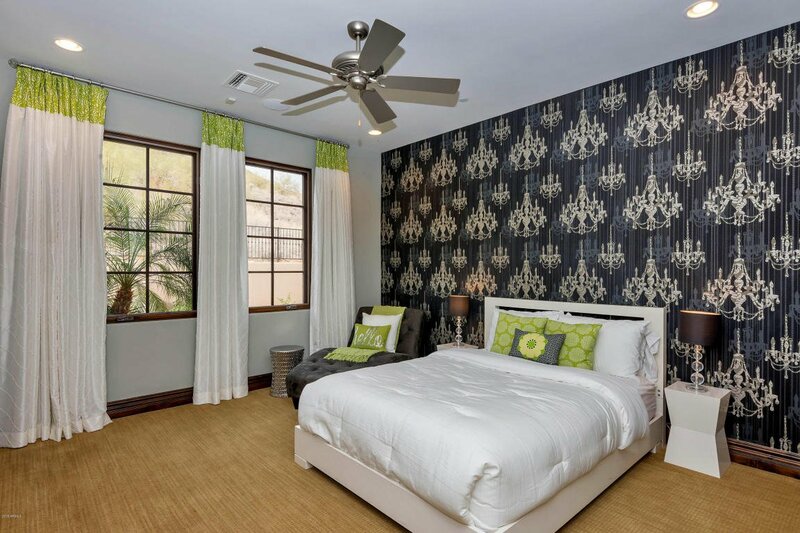 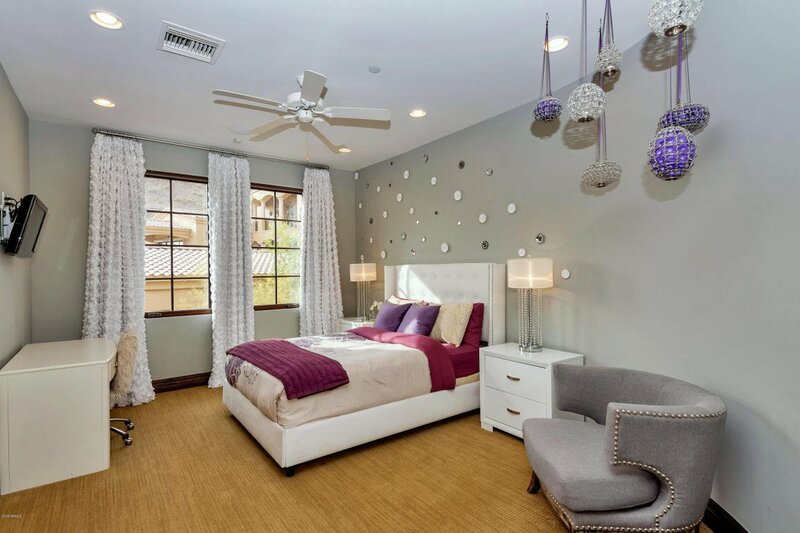 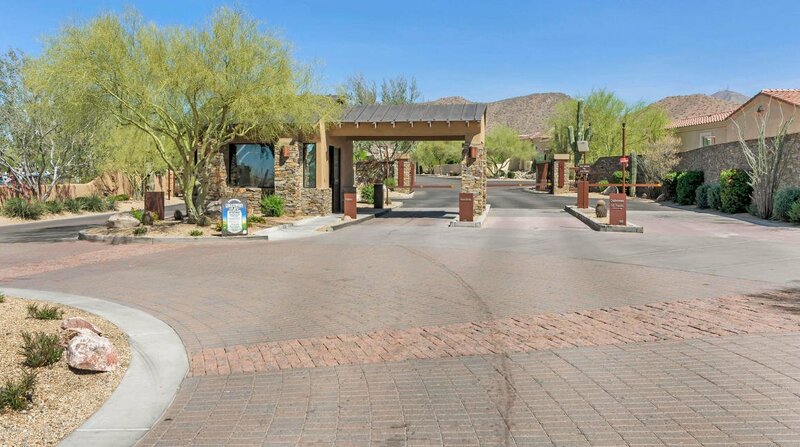 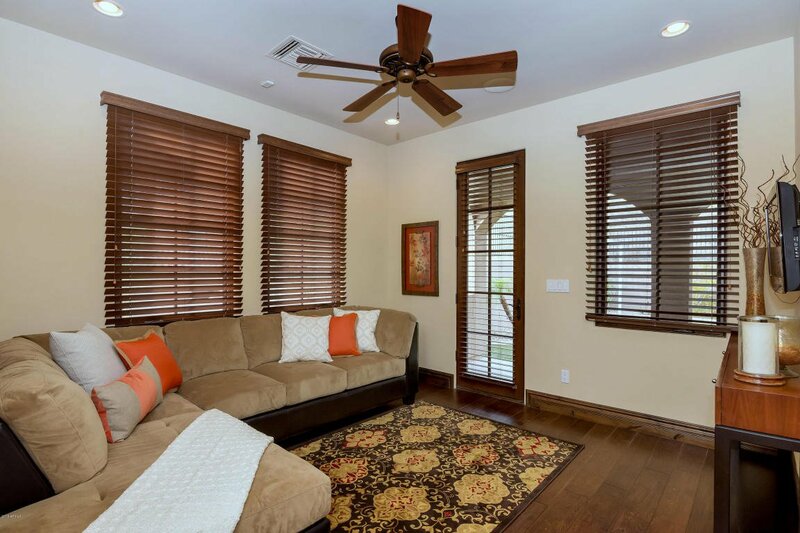 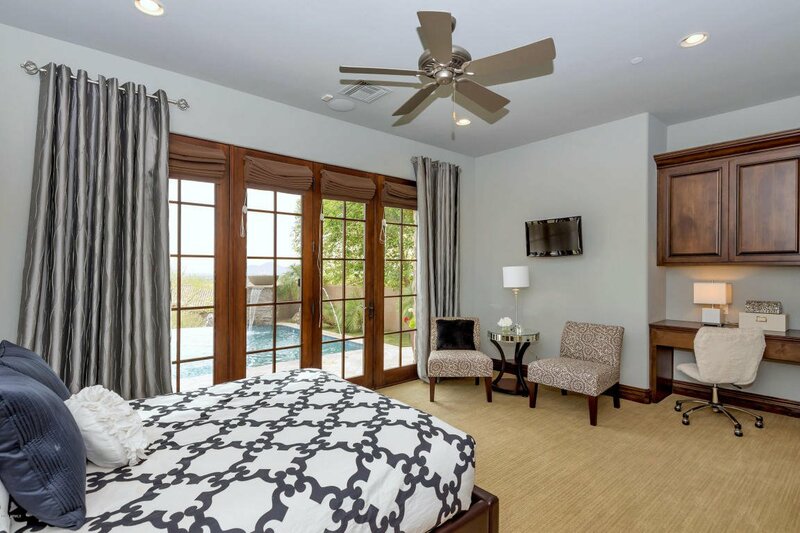 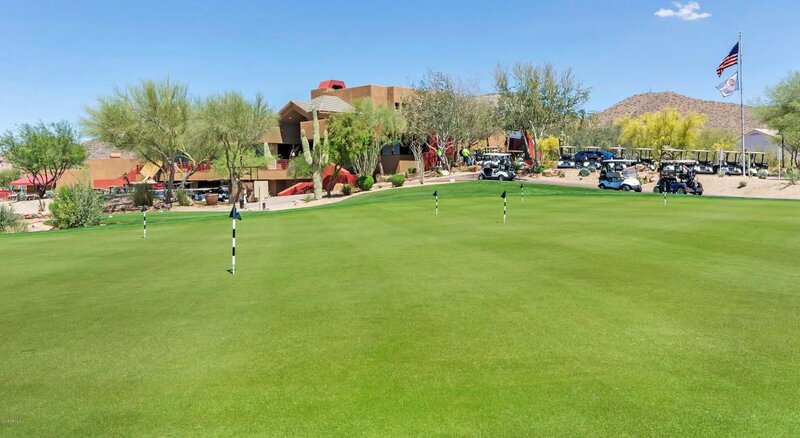 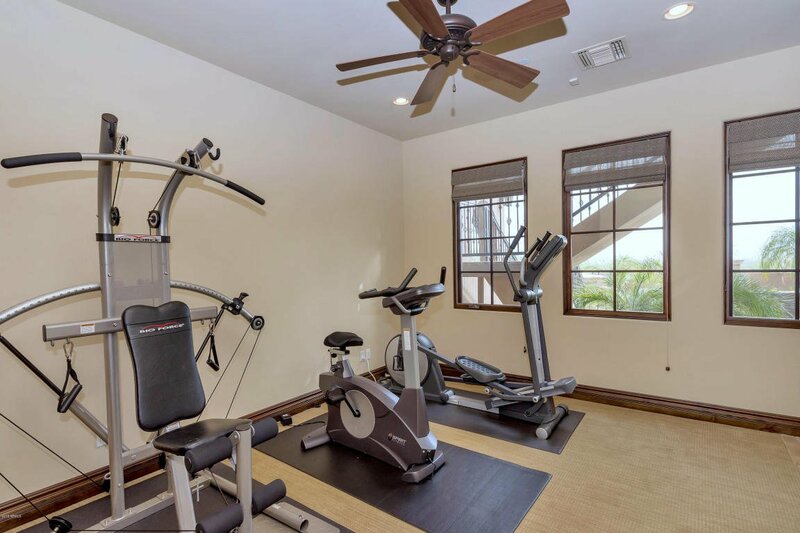 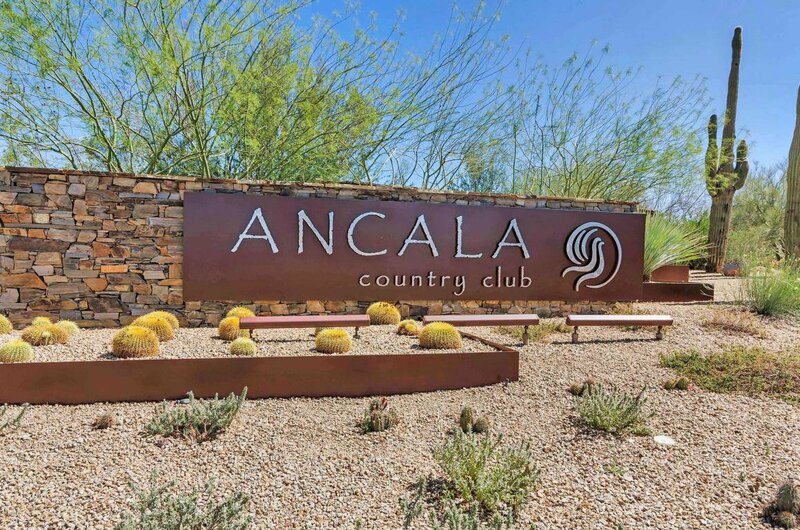 Ancala is a guard gated exclusive community offering golf, tennis and social memberships. 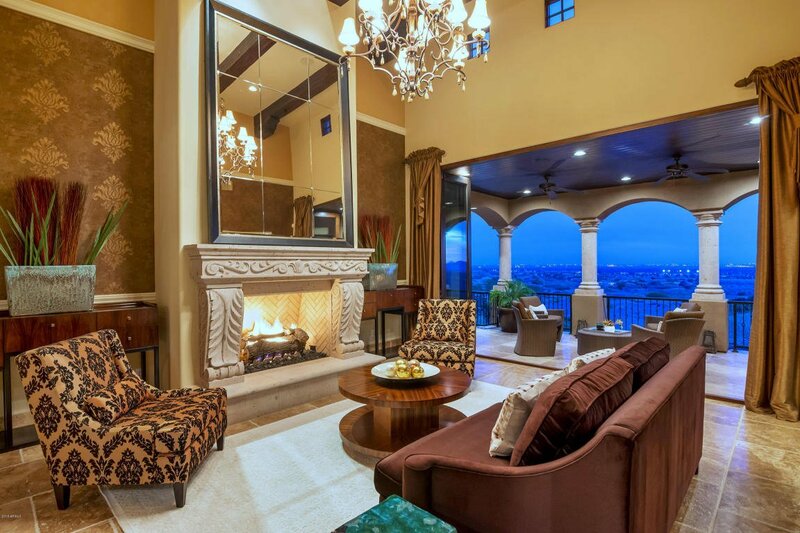 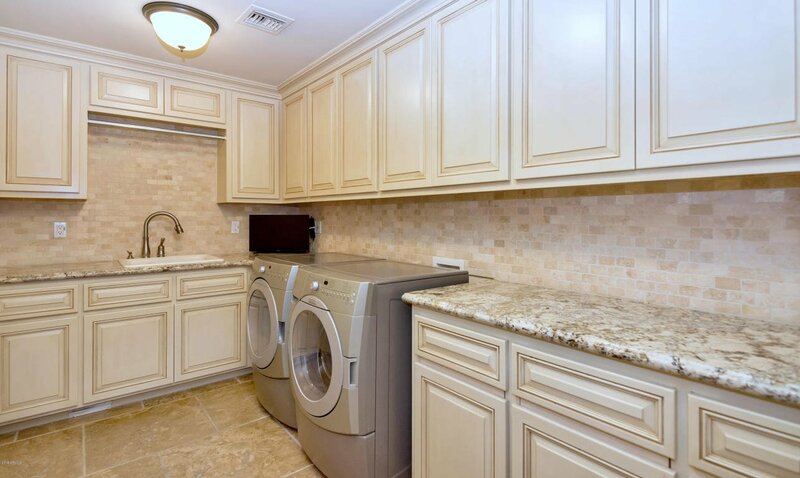 This custom estate is tailored for the most discriminating buyers!